The Holy Martyr Menos Kallikelades (Krasno-rechivii, i.e. Fine-Speaking), an Anthenian, died a martyr together with Saints Hermogenes and Eugraphos in about the year 313 (Comm. 10 December). 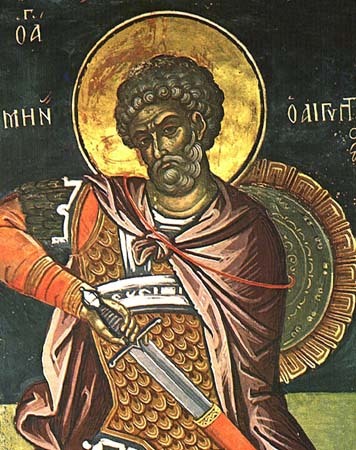 During the time of the Constantinople emperor Basilios the Macedonian (867-886), by command of the saint himself who had appeared in a dream to a certain pious man, – his relics were discovered by the military commander Marcian.